Mauricio Pochettino is frustrated with the club’s unwillingness to strengthen in the transfer market, according to Spurs writer Rob White. It is 12 months to the day since the move that took Lucas Moura to the club from Paris Saint-Germain, the last time Tottenham signed a senior player. And White has warned Daniel Levy that Pochettino’s patience might be waning after witnessing his side crash out of both the League and FA Cups. “I think the thing Levy has to be careful of is the way he manages the manager,” White told The Brian Moore Show (weekdays 3pm-7pm). “The last two or three press conferences, there’s been probably signs of irritation. 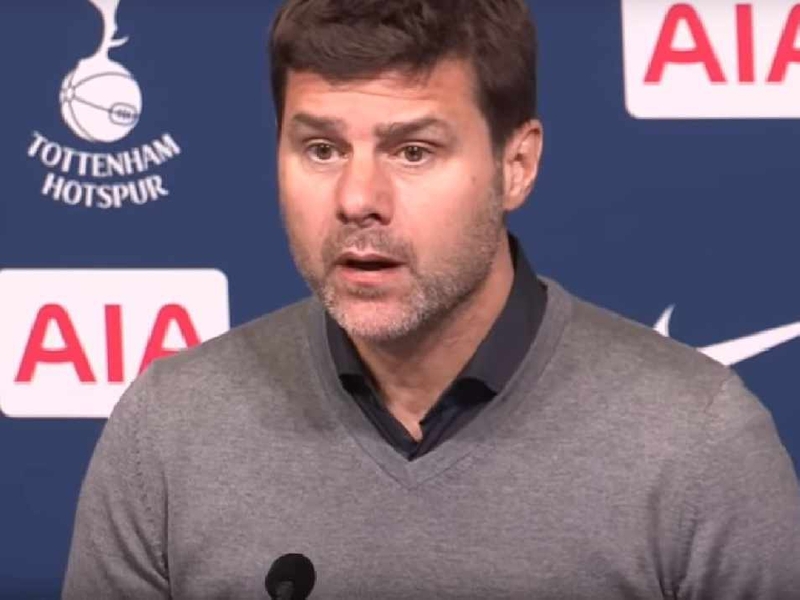 Rumours have continued to circulate that Pochettino’s long-term future may lie away from Spurs and the club’s recalcitrance to provide reinforcements risks placing his relationship with Levy under strain. The club have been hit hard by the double injury blow of losing captain and talisman Harry Kane at the same time as Dele Alli. Yet whether Spurs have the financial resources to compete with their top-four rivals is doubtful, particularly with a new stadium to pay off. Indeed, comparisons have been made with north London rivals Arsenal who endured several austere seasons after the opening of the Emirates in 2006. But White is confident that with the safety net of inflated television revenues it won’t negatively impair Tottenham and has backed Levy to loosen the purse strings. “You need somebody that just doesn’t balk at whatever people are asking in the market,” White added. “I hope the reality will be that, when we move into the new stadium, we will call Levy’s bluff. It’s time to put your money where your mouth is. The danger for Spurs is reconciling their trophy-less run which stretches back to 2008 with providing Pochettino with the resources to take Tottenham to the next level. White envisages a change in Levy’s stance if the Argentine is to continue to resist the attentions of other clubs – namely Manchester United who he has been heavily linked with. He said: “Pochettino made reference to it a couple of weeks ago, basically saying we’ve taken the club as far as we can on the rules that we have put on us.